Wow - I missed that "Remember Me" flick. Thank goodness! Can you get a more deliberate propaganda message about vicsims? And it's appropriately fiction, too. 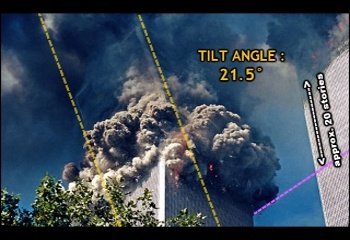 Planes hitting the towers , bad muslims plotting in mosques etc. 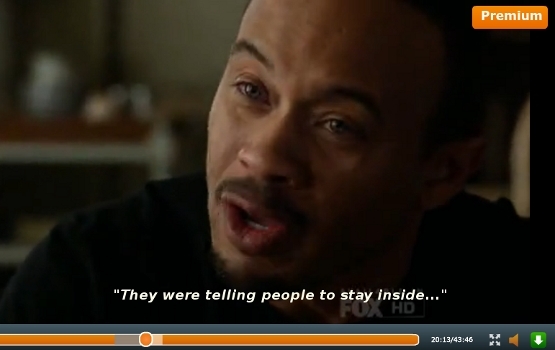 as he tells his story. indication of deceit or of withholding information. Last edited by lux on Thu Oct 06, 2011 1:11 am, edited 1 time in total. 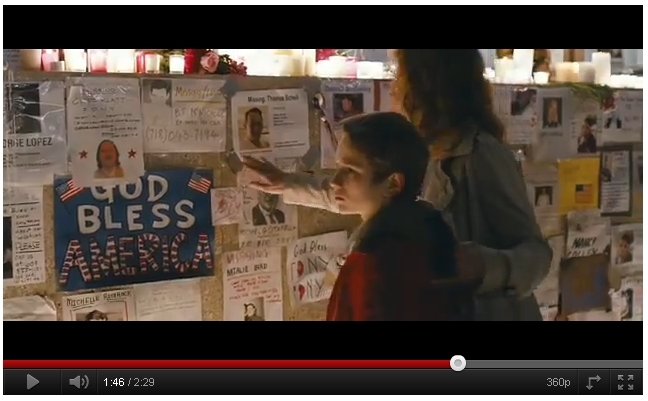 "EXTREMELY CLOSE AND INCREDIBLY LOUD"
Last year(2011), we were "treated" to "EXTREMELY LOUD AND INCREDIBLY CLOSE" - with Tom Hanks and featuring a kid whose father Thomas dies in the WTC. The kid is "a special child who is somewhere on the autistic spectrum, trying to find his own logic – trying to make sense of something that literally doesn’t make sense to him"). 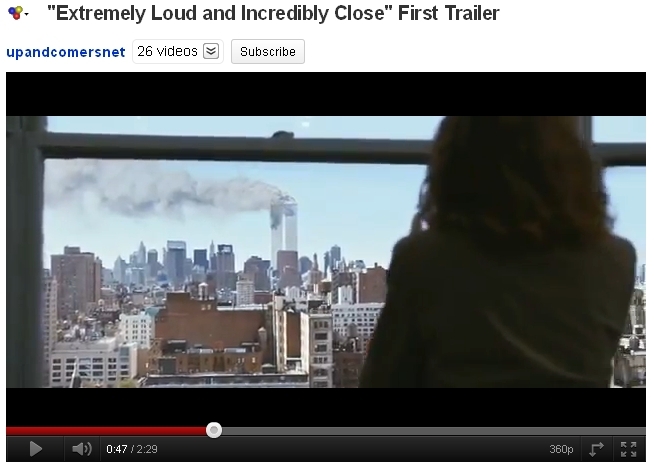 The film begins with a body that seems to be falling from the sky, referencing jumpers from the World Trade Center on September 11. WIki quote: "At Thomas' funeral Oskar complains that the coffin does not make sense, since it is empty." This year (2012), we are "treated" to a new TV series called "TOUCH" - starring Kiefer Sutherland (playing a man whose wife died in the WTC)...and an autistic boy ("who hasn't spoken a word in 11 years") whose mysterious ability to see connections and patterns allow him to predict the future. So WHO exactly is obsessed with these numbers here? Yours truly - or Hollywood? Good Heavens. When is this crap going to end? Nope I see it as well.. It's Hollywood. @ 5.17 Hitech CGI in fire.. Check the towers after the animation hits it. I just completed and uploded made this mashup video of a couple of youtube vids I came across. and the Gifs from this website. The song is called Fairytale "The Replacements feat maria Neskovsky - Fairytale"
Chorus- "I tell myself your just another Fairytale"
Is in regards to how I see the 9/11 Hoax. 1 big Fairytale ! I made the vid out of fun, And to learn more about editing.. I am totally new to anything image/ footage wise till I came here.. This is probably as good a place as any to mention all the times I have remarked to myself about the various witnesses, vicsims and officials who always put in the description of events something about how it was: "Like it was out of a movie....." or "Something that could only happen in science fiction...." a "bad special effect". I see this a lot, but I haven't archived it. Dang. I'll star a compilation next time I see one. I welcome any comments form anyone who can remember specific clips. Farcevalue wrote: This is probably as good a place as any to mention all the times I have remarked to myself about the various witnesses, vicsims and officials who always put in the description of events something about how it was: "Like it was out of a movie....." or "Something that could only happen in science fiction...." a "bad special effect". 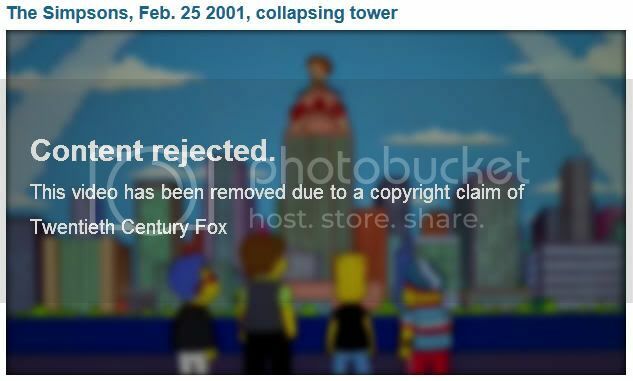 I see this a lot, but I haven't archived it. Dang. I'll star a compilation next time I see one. I welcome any comments form anyone who can remember specific clips. Haha, good idea I have a couple "just like a movie" archived some where. Ill post them soon. In 20th Century Fox’s 1988 film Die Hard the first lines are spoken on a plane about how to get over the fear of flying. One guy says what he has done for 9 years and Bruce Willis says what he has been doing for 11 years. 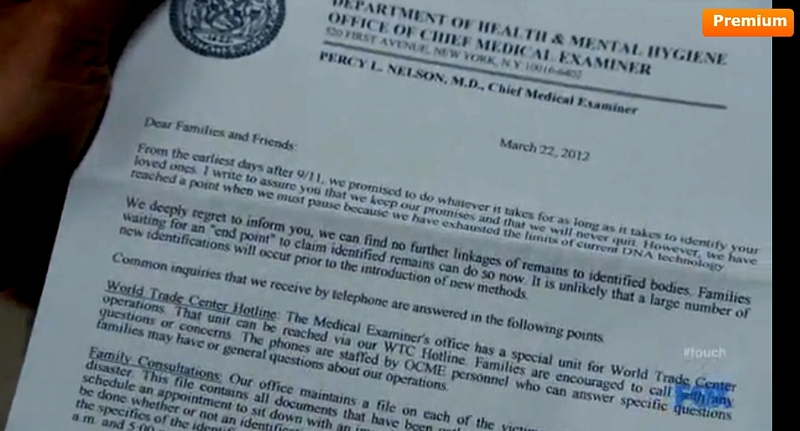 So here we have 911, on a plane, talking about fears of flying. 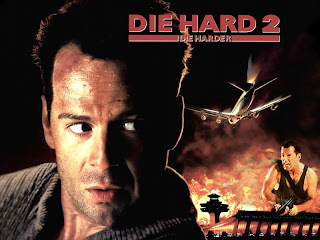 In the first Die Hard, John McClane (Bruce Willis) takes on 12 terrorists in a tower; in the second movie it’s terrorists at an airport. 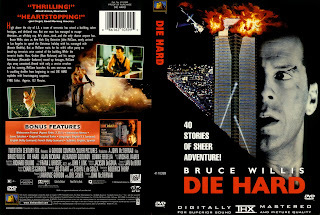 Isn’t it interesting how in the 1988 movie we have John McClane afraid of flying, terrorists, towers, 9/11. Enemy of the State- 1998 In another 1998 Disney/Touchstone film, Enemy of the State, a politician played by Jon Voight has his birthday on September 11th. 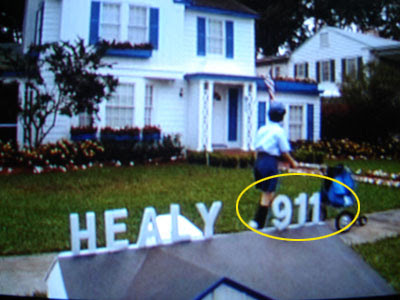 Problem Child-1990 In the 1990 Universal film Problem Child the Healy’s live at house number 911. The actor in this movie, John Ritter, in real life had a baby girl, Stella Ritter born on 9/11/98, then 5 years later suddenly and suspiciously John died on 9/11/03. 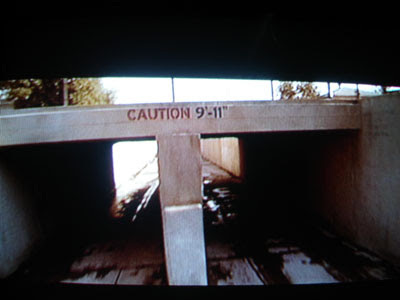 [b]The Peacemaker- 1997 DreamWorks’ first film, The Peacemaker, George Clooney is shot perfectly between aisle 9 and 11. The Thirteenth Floor -1999 A wall clock shows 11:45 with the big hand on the 9 and the little hand on the 11. 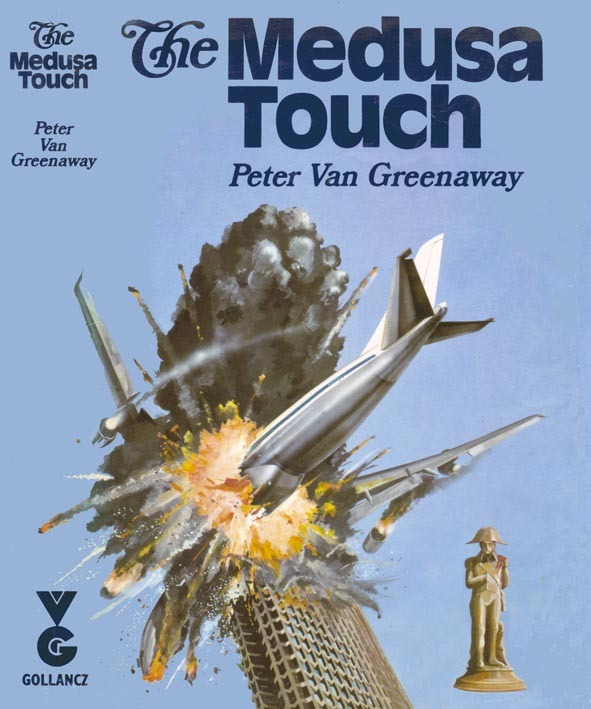 MOSSAD THE PROPHET - Arnon Milchan, Mossad's senior agent in Hollywood, produced The Medusa Touch, a film in which he depicted a passenger airliner crashing into a skyscraper - in 1978. Later, in 2000, Milchan's business partner Rupert Murdoch used Milchan's idea in a very similar film made for television, The Lone Gunmen, in which a remotely-controlled hijacked airliner was flown into the World Trade Center. Such prophetic films are designed to create the ideation and prime the public for a plot that is already in the works. Arnon Milchan is another senior Israeli agent who should be arrested and interrogated about his prior knowledge of the 9-11 plot. Fabulous, Heiwa! All this in 1978 ! Does Christopher Bollyn know about September Clues, the Cluesforum? If not, will you ask him to pay us a visit? It appears to be gone from Youtube but the whole movie was up there! I watched it about two years ago. 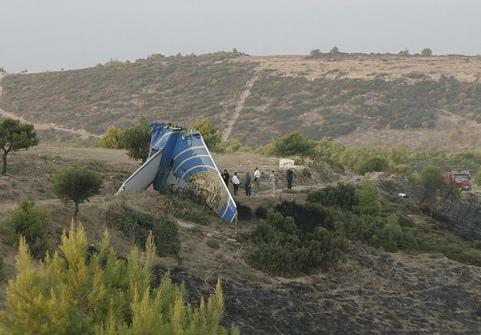 In the "Medusa Touch", the airplane is swept off the sidewalk come the morning, with minimal damage sustained by the building! Farcevalue wrote: This is probably as good a place as any to mention all the times I have remarked to myself about the various witnesses, vicsims and officials who always put in the description of events something about how it was: "Like it was out of a movie....." or "Something that could only happen in science fiction...." a "bad special effect". Teaching my partner to judge eyewitness testimony that includes any of these phrases as automatically highly suspect and unworthy of belief is one of the very few aspects of media fakery that has successfully penetrated her extreme stubbornness and hardheadedness on fakery.